I have had this Meditation open for an hour so far. Most of these Meditations have been very short, and those that have kept me for longer have only done so because I was bad at them. Rosa Carbo-Mascarell has intentionally made a Meditation that lasts for several hours, which is normal as far as games writ large but unusual for Meditations, which I had thought might have some kind of time limit. Rosa’s Meditation is a response to trauma, a reminder – she writes – to listen to herself and “periodically tend to that metaphorical plant” that grows inside of her. 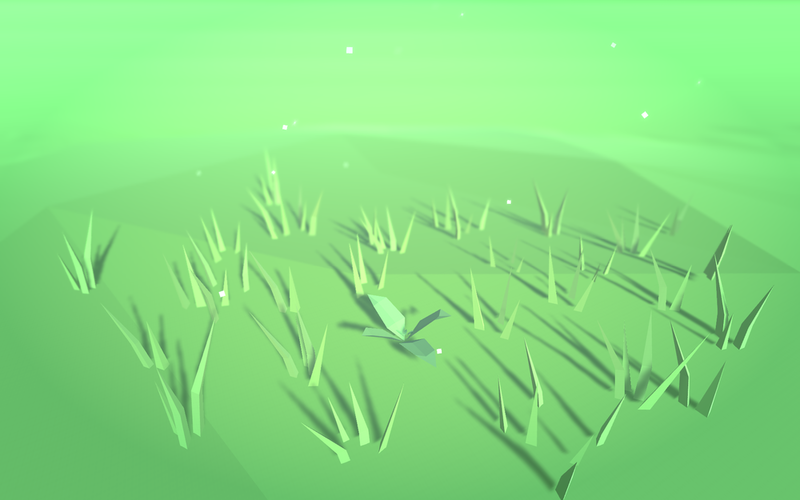 The Meditation is a plant among blades of grass, growing slowly over the course of several hours, to the sound of gentle music and heartbeats. I have had this Meditation open for an hour so far, and my plant has grown from a speck to a collection of leaves that is almost as big as the grass that surrounds it. So far, the screen has darkened once, and I have clicked on the plant to chase away that darkness. This, I presume, is the tending. I have to leave soon for the theatre, for the second night of our production of Cats. I’m going to leave this Meditation open while I’m gone, but I know that it may suffer from my absence and lack of care.